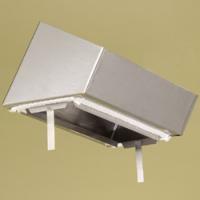 Have rectangle exhaust on your woodstove insert and want to reline the chimney? No problem! These adaptors will make easy work of adapting your rectangle exhaust to round, oval, rectangle reline pipe.